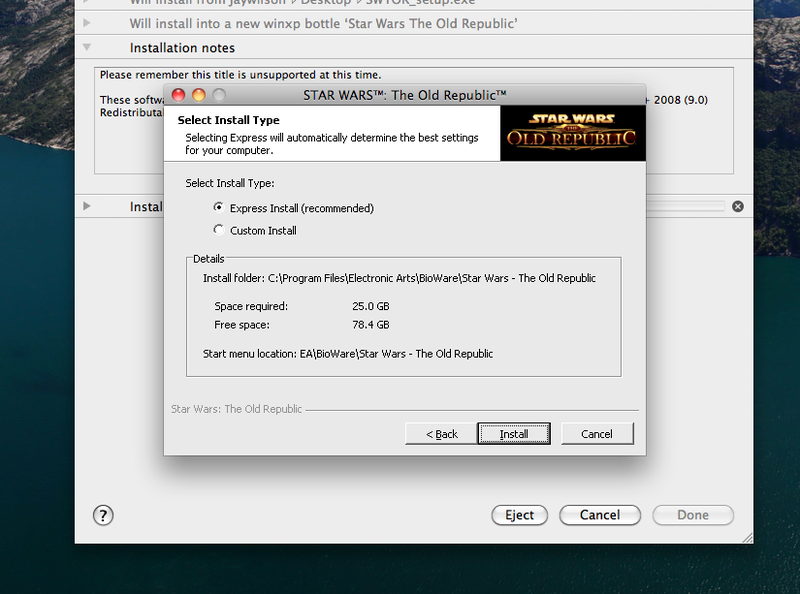 Star Wars the Old Republic for mac is the same game that is supported for the PC, but is now compatible with Mac OS systems. The Old Republic was developed by Bioware in 2008 as a new generation MMORPG. Their have been millions of players registered since the dawn of the beginning of Swtor. It contains hundreds of quests and lets gamers make the choices of everyday galactic fighters by giving them the responsibility of connecting with other real world gamers. Swtor has become one of the most popular online games in the past few years due to splendid gameplay, continual updates, and fast servers. The gameplay consists of the ancient clash between the Republic and the Empire. Players choose different species and classes for their characters. There are many other features including ships and companions to help the players complete missions. There are main story lines and they differ between each class, so the game can be played for countless hours. Swtor mac has received high rankings on numerous game rating sites for an MMORPG. Sign up for a free trial at http://www.codeweavers.com/products/crossover-mac/download/ it is completely free and you only need an email. The trial last 15 days, you can decide to buy it after that or find a way to get it free. There are many ways to get it free online (google is your friend). But I don’t mind paying for it since I feel like they deserve my money making so many mac ports. 3. Move Crossover to apps and open it. This is a simple step. 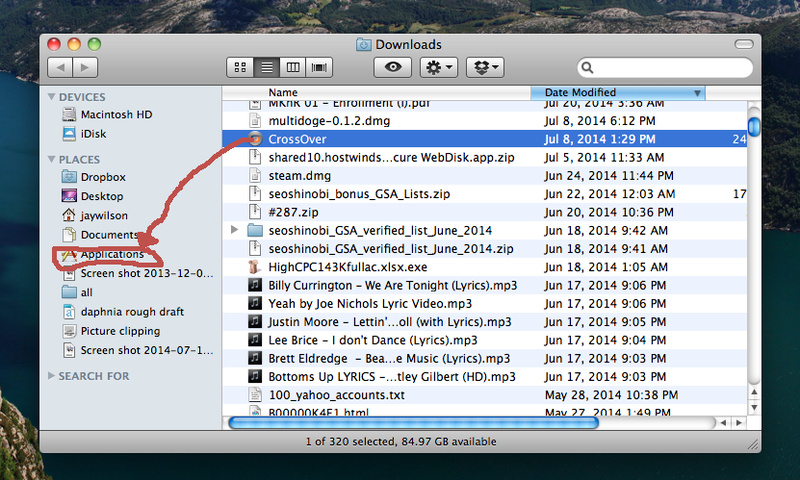 When Crossover is done downloading, just move it to your apps folder, open it and click to try out the trial version. The file will be in community supported applications as seen below. 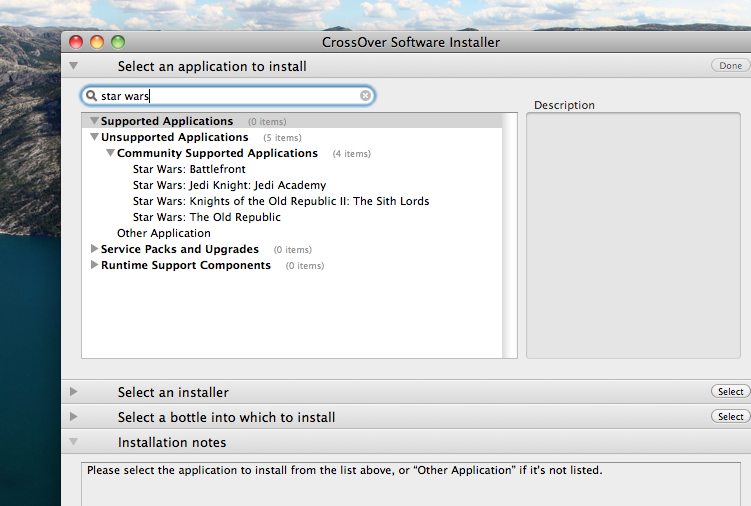 Click on it and then click proceed to the next step (select an installer). 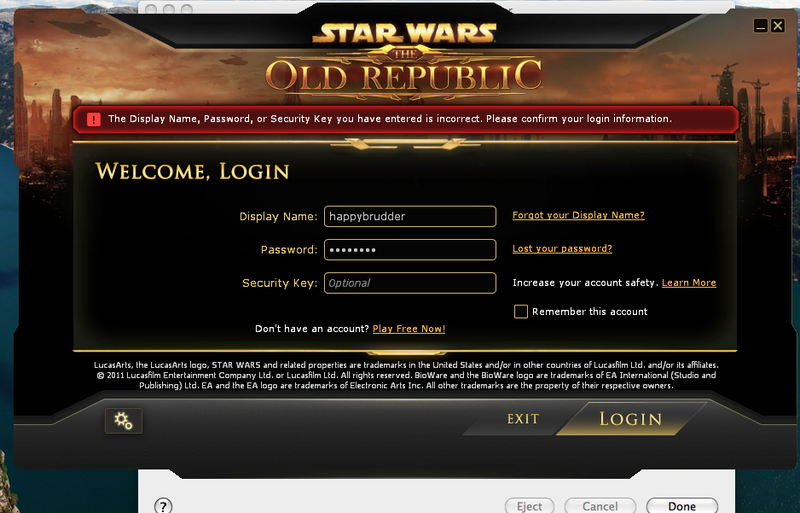 Click choose installer file and select the SWTOR_setup.exe file you got in the first step. It should be in your downloads or on your desktop. 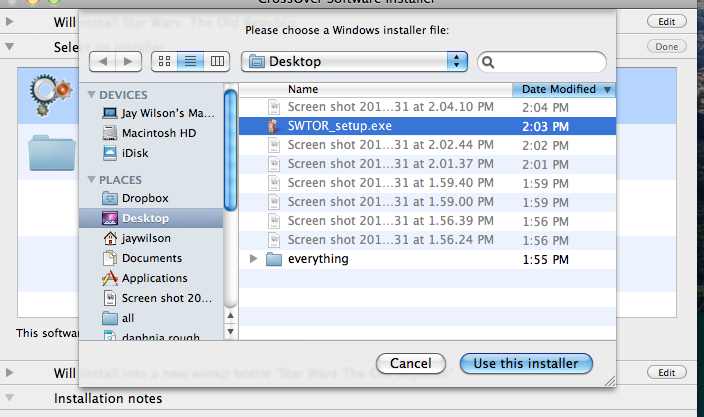 Click express install and it will begin to install. If it asks for any updates or says that anything needs to be downloaded then accept it or click yes. 8. 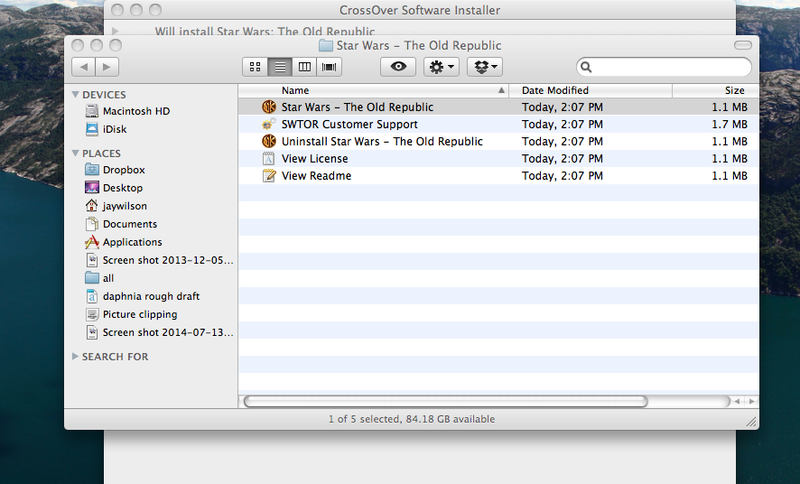 Open up Swtor on your mac and play!